Is squalene effective in the treatment and prevention of strokes, joints, oncology? 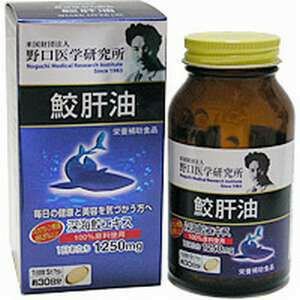 Squalene from Japan is an innovative product made from rare and valuable raw materials - shark liver oil, or simply shark oil. In many countries, the production and sale of this product is prohibited in order to preserve deep-sea sharks as a species. However, in Japan, which has its own vast water area, in parallel with catching sharks, active measures are being taken to restore a stabilize its population. This is necessary for stable supplies of raw materials, which are approved and recognized at the level of the Ministry of Health and numerous medical associations in Japan. Such measures were taken after the results of clinical studies in a number of areas: the effectiveness of squalene in the treatment of strokes, joints and oncological diseases. The main effect of squalene from Japan: is it stroke prevention? Squalene from Japan is used in the Land of the Rising Sun, mainly to maintain vascular health and to prevent strokes. Japan almost defeated strokes, and this cause of death of the population is not in top, though it still holds first place in number of other countries. One of the main reasons they managed to defeat it is in seafood intake, which constitutes a significant part of the diet of the Japanese. And especially Japanese natural squalene, which is very popular among adults in Japan. Getting it in Japan, on the one hand, is very simple, because it is sold everywhere. But, on the other hand, often you can not find it in pharmacies, because demand is too high. In everyday life, there are a lot of stresses. And for this reason that the effective protection of the body, and its blood vessels, is so important taking into account our pace of modern life. Squalene effectively prevents an increase in blood pressure, and its effectiveness has been clinically proven in 90% of cases by the Japan High Blood Pressure Study Society. The same society issued circulars recommending that all Japanese are over forty years old to buy and regularly take squalene. The second vector of squalene’s medical effects is its unique ability to carry out the restoration and regeneration of articular and cartilage tissues. Squalene in this case acts as a catalyst for recovery, providing a gradual recovery of tissues. Usually, with age, the fluid in the inter-articular sacs dries out, and the cartilage tissues are erased and gradually disappear. Squalene from Japan provides the ability to restore joints with regular intake and proper nutrition. It starts the mechanisms of regeneration at the cellular level and forms new cellular structures, ensuring protection of the remaining layers and the gradual methodical build up of new softening layers of tissues. Squalene is widely used in Japan precisely in this area, in countries of Europe and the USA it is banned for production due to restrictive measures to hunt sharks. Squalene in the treatment and prevention of cancer: "Pros" and "Contras"
Let us discuss main effects of Squalene to fight oncology and cancer. Alkylglycerol is a unique substance that cannot be synthesized anywhere by artificial means. This substance is contained in shark liver oil and has a pronounced anti-oncological effect. But what are unique effects of this subsytance? Firstly, the AKG substance stimulates those cells of the human immune system that are responsible for fighting against rebirths and malignant tumors. Thus, squalene helps the body to fight the disease itself. Secondly, this unique substance contained in Japanese squalene, blocks the further formation of blood vessels that feed malignant tumors. So cancer cells are left without food and this helps fight the disease even more effectively. How to choose squalene from japan? Remember, real natural squalene is sold only in Japan. In other countries, either synthetic substitutes are sold, or dummies that do not contain anything other than regular fish oil. It is necessary to pay attention to the concentration of the drug. The minimum required concentration of natural squalene from Japan to achieve the above effects should be at least 1200 mg. This is the figure with which the Japanese Medical Association worked and the level that is necessary for the manifestation of all the qualities of this drug. Order this medicine only directly from Japan, due to the possibility of getting a fake. Ordering medicine from Ebay (where it is not always possible to track the location of the seller) or from China / Korea is strictly not recommended. Squalene intake should be regular, at least 3 times a day. The course is recommended to continue for 1.5 - 2 months, repeating 2 or, if necessary, three times a year to achieve optimum results. Take precaution measures - keep the product in a dry and cool place, avoiding sunlight, out of reach of children.